In this tutorial, let’s talk about “vertex color” in GrowFX , the picture shows below easily explain what is “vertex color” function and how it used. We can easily control the color change of the plant models to create more realistic plant material via “vertex color” function. 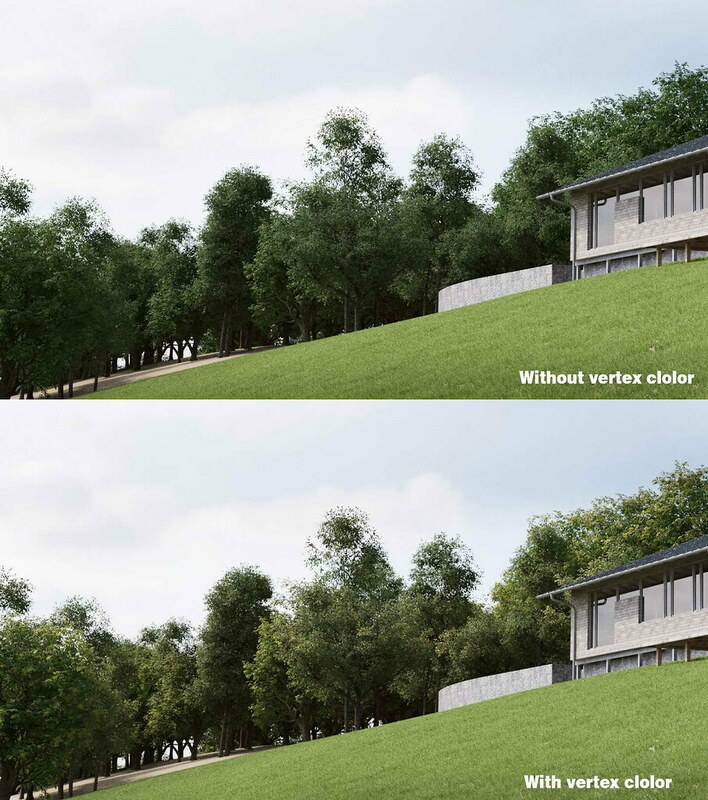 Vertex color is a powerful function in GrowFX, allow mixed different textures along path.By using this we can implement the old and new effect of leaves.